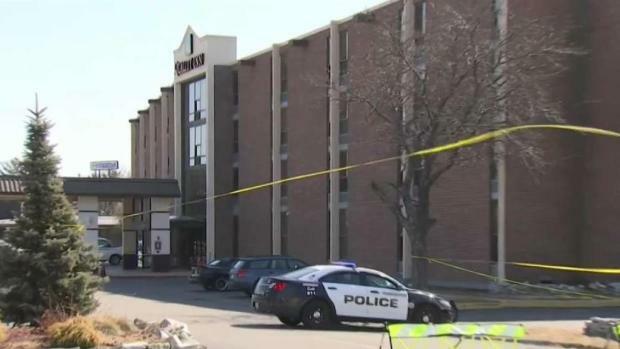 Authorities in New Hampshire have identified a man and a woman found dead inside a Manchester hotel room Thursday morning after a nearly 15-hour standoff with police. 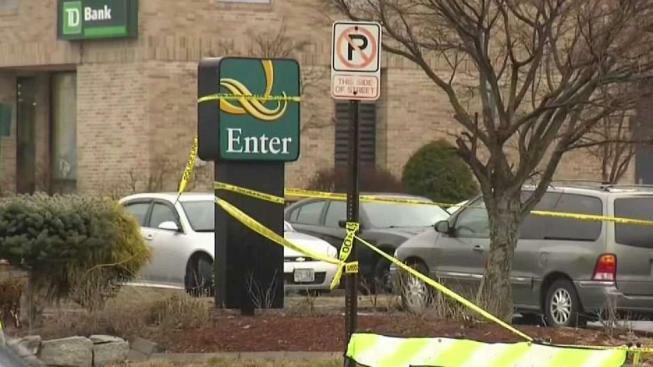 The attorney general's office said 26-year-old Christian St. Cyr and 21-year-old Brandie Tarantino were the individuals found dead inside the Quality Inn Manchester Airport hotel. Autopsies were completed on Friday but the Chief Medical Examiner determined that the cause and manner of both their deaths were pending while she awaits results of toxicology testing. Court documents showed the two had criminal records and warrants were out for their arrests on drug charges. The standoff started Wednesday around 7:30 p.m. when authorities said they went to the hotel to serve a warrant on 51-year-old Stephen Marshall, of Manchester, and another man. When police and federal Drug Enforcement Administration agents made their way inside the first-floor of the hotel, Marshall jumped out of a window. "Once outside, Mr. Marshall engaged two U.S. drug enforcement administration agents and one Manchester police officer," said New Hampshire Attorney General Gordon MacDonald on Thursday. "Mr. Marshall was struck by gunfire, taken to the hospital where he was pronounced dead." An autopsy determined that the cause of Marshall's death was multiple gunshot wounds to the trunk of his body and his extremities. Crisis negotiators were initially successful in communicating with St. Cyr and Tarantino several times, but that communication stopped around midnight. All hotel guests and employees were evacuated from the hotel by 10:15 p.m., according to police. At approximately 3 a.m., St. Cyr and Tarantino opened fire for about 20 minutes as SWAT team members deployed a chemical agent into a hotel room, according to police. St. Cyr and Tarantino were found inside the hotel room at 10 a.m. Thursday. While the investigation continues, NBC10 Boston has learned Marshall was arrested at a Nashua gas station over the winter for possession of heroin, fentanyl and crack cocaine. Based on court records, he was released on personal recognizance. When he failed to return to court on March 7, a warrant was issued for his arrest. Marshall also had a long criminal record in the Granite State. In 2010, he was found guilty of drug charges and sentenced to not more than 4 years behind bars. More recently, there were at least two outstanding warrants for him, both related to drugs.